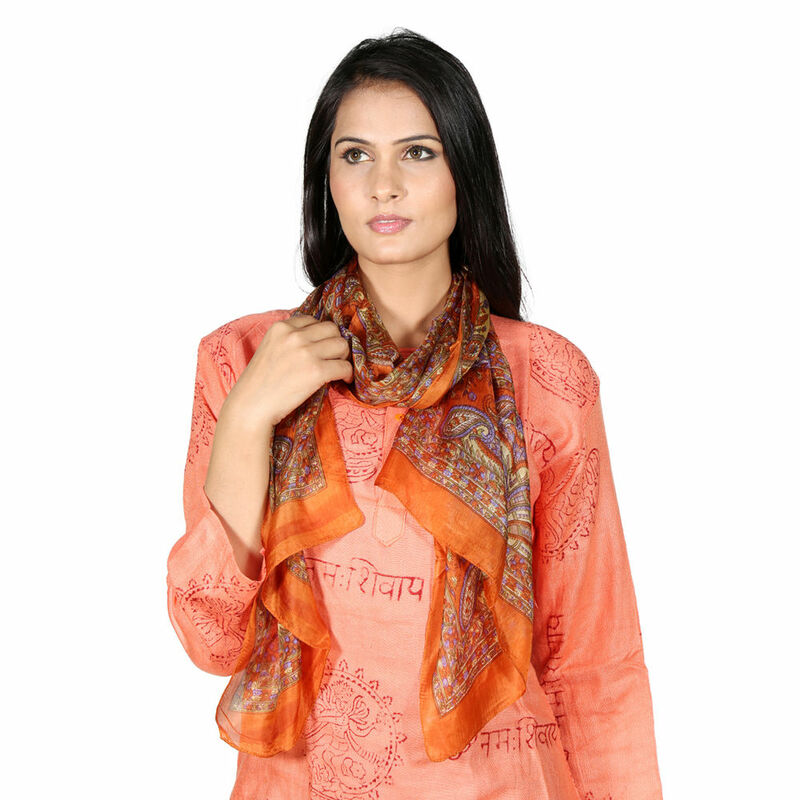 Cool, Casual Style Is What You Get With Rivayat Pure Silk Printed Scarf. This Multi Color Style Features A Lightweight Design, Unique Texture, And Fringed Ends Made Up Of 100% Pure Sillk, So It Compliments Your Leather Jacket Or Trench Coat Perfectly. 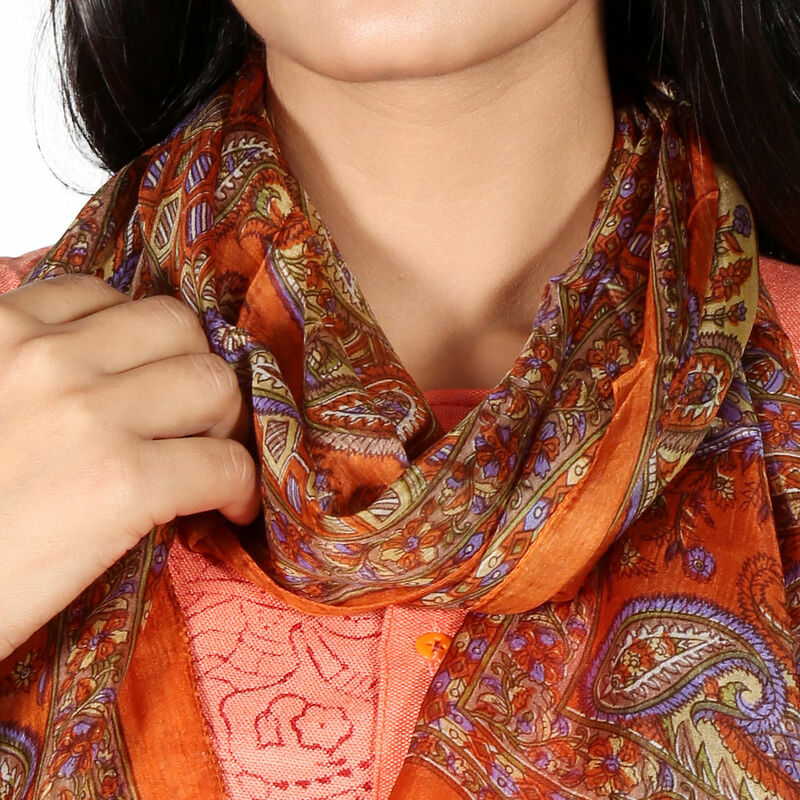 This Scarf Allows You To Wear The Numerous Ways Without Any Bulky Volume.